Taekwondo is an ancient Korean martial art, loosely translated Taekwondo means “the way of hand and foot”. 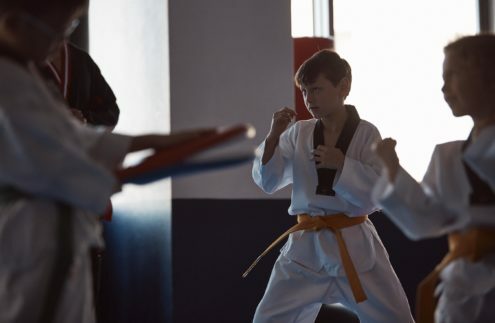 With a strong emphasis on kicking, this form of martial arts is fun, exciting and practical for your child. 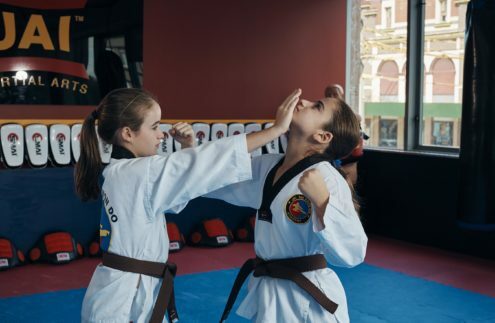 Not only will your child learn the valuable life lessons from martial arts, they will also put their energy to great use! In today’s society many children are overweight due to high energy foods and inactivity. The human body is meant for exercise and children are MEANT to exercise. 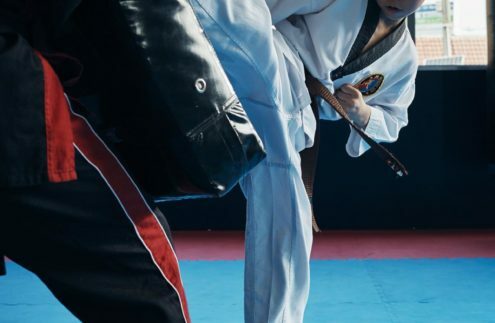 Apart from its high kicks and jumping kicks, your child will love the physical exercise that Taekwondo offers. From top to toe your child will exercise their entire body. Under controlled conditions your child will get to kick and punch, in addition to that they’ll learn about respect and discipline. 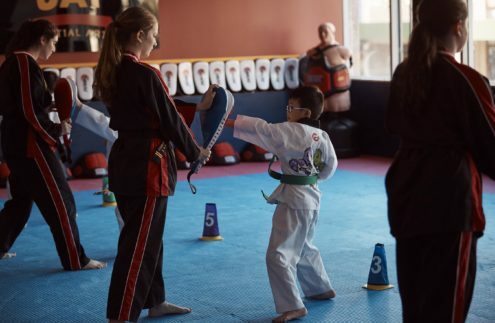 Your child will be taught by role models who will help them achieve their goals of one day becoming a Black Belt. Training in Taekwondo is for boys and girls and will improve their self confidence and self esteem. Your child will become more sure of themselves and gain confidence to speak and demonstrate movements in front of the entire class! Over time Taekwondo will help develop your child to be a calm, self assured person. Quietly confident in themselves with high self esteem.